Well, it’s been a while since my last post. Partially because I started grad school and haven’t had time to get much done, and partially because I’d much rather actually craft than write about it, if I only have one choice. With that said, I’ve gotten a bunch of things started. A simple tube scarf for a friend om my niece’s. The scarf is knit in the round, then flattened and the ends are stitched together to form a scarf that’s twice as thick and super warm. This particular pattern may be boring, but it’s perfect for faculty meetings and movie watching– just enough to keep the hands busy. About two weeks ago, I started working with these great fabrics. I cur them up into 2 1/2″x5″ rectangles and stitched them into pairs. 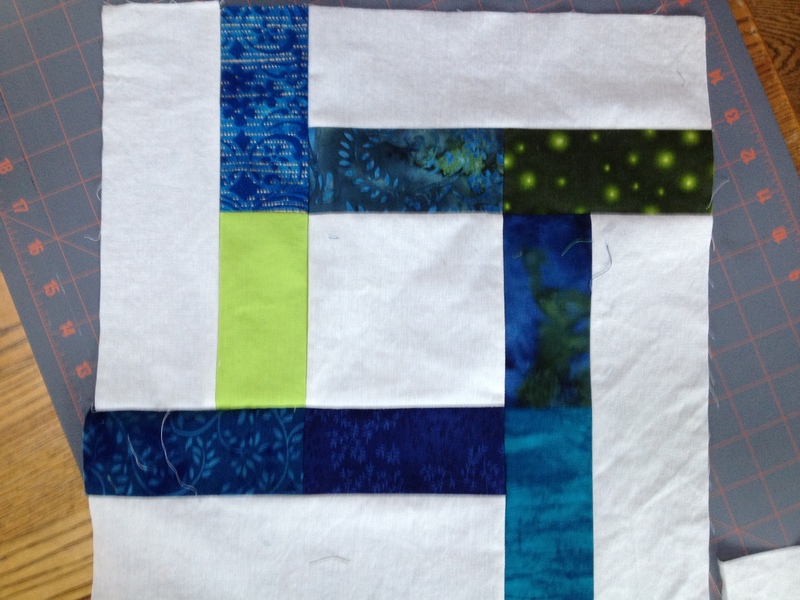 A planning/measuring issue threatened to derail the whole project when I went to sew up my first block and realized that the 1/4″ seam matching the colored blocks together had thrown off my entire design! 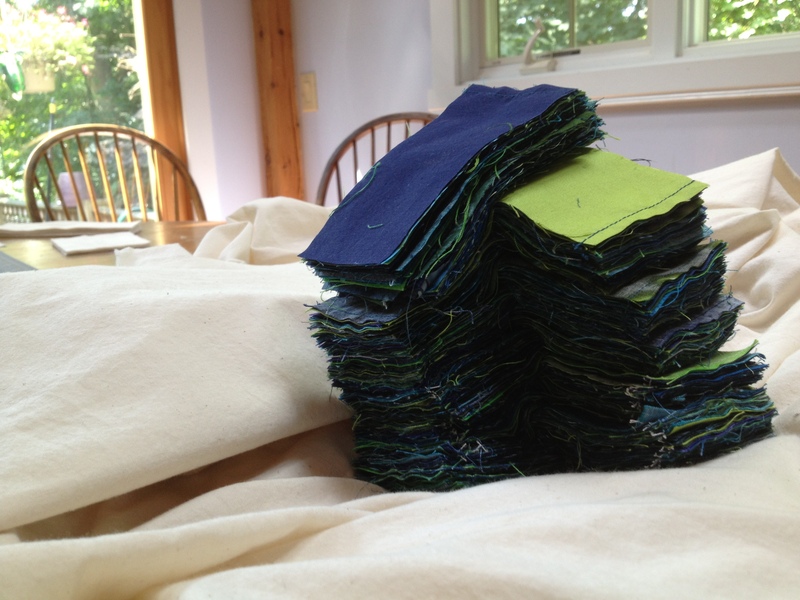 Luckily, by making my outer muslin pieces 3″ wide, I was able to save it. 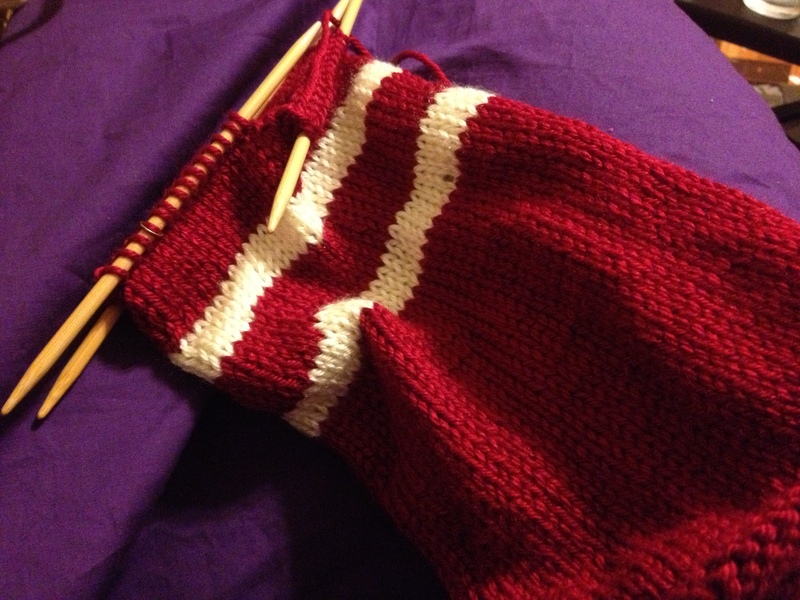 It makes the colored sections a bit narrower than I intended, but I like it anyway. Also, It means that I didn’t have to go back and cut 1/4″ off each end of the colored blocks. I would not have been happy with that. Now I have 7 of the 56 total blocks necessary to make this into a queen sized quilt. Why can’t I ever do anything easy? What’s wrong with a nice table runner? Or a pillow? Or a flipping key fob? Why, simply, that they aren’t all that functional! This lovely box of joy arrived in the mail from Connecting Threads just yesterday! Look at all of that wonder! 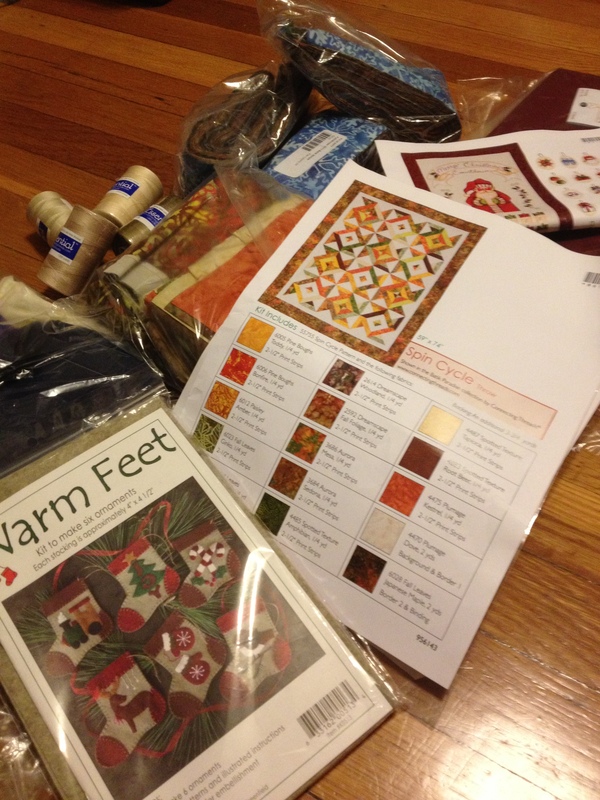 I’ve got a quilt kit, enough strips to make a second of that quilt, a kit for an advent calendar and one for some ADORABLE felt stocking ornaments! I can not WAIT to start this stuff! 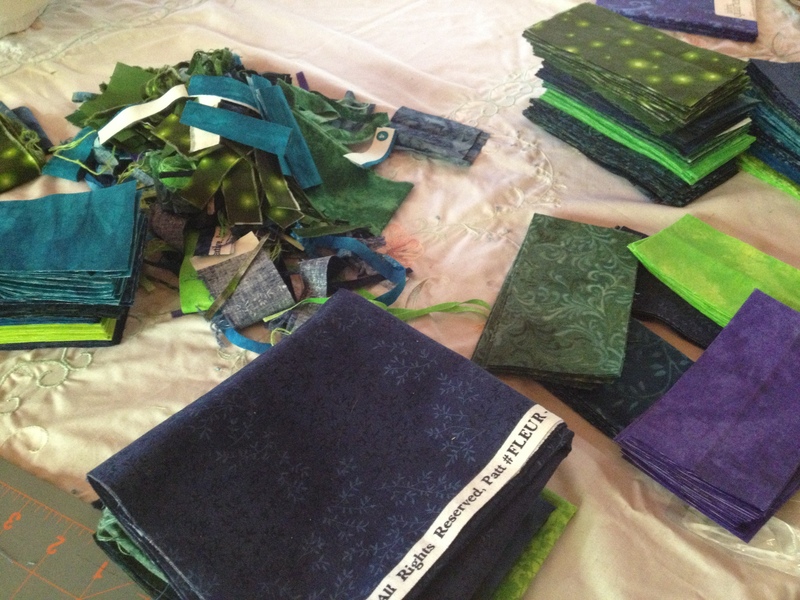 With all of that said, the school year started today, so I, unlike every other quilter in the apparent universe, have way LESS time to quilt as I am busy with all of the teaching and grad schooling that has to keep going on. Alas. At least I have my dreams.